All in One. One Responsibility. Fabric Lightboxes consist of three main components: the SEG frame, the LED lights and the fabric graphic. We have our own proprietary fabrics produced, create our own standard and custom frames and build, test and install our own LED lights. Every lightbox is tested before it leaves our docks. We are able to control the quality of the product from start to finish, which guarantees competitive pricing because there is no middleman. If something is wrong (hey, stuff happens!) you only have to go to one place. Our process also guarantees a completely environmentally friendly product and a stunning end result. McRae started as a high-end photo lab in 1965. Our attention to colour management and image is at a completely different level than other manufacturers. We spend 10% of revenue on research and innovation either with new processes, new technology or manufacturing equipment. Our innovative environment and skilled workers makes McRae ideal for your creative projects. We are always looking 10-15 years ahead and investing in that future. Fabric. Our VIVID fabric is like no other on the market – wrinkle free, fire retardant, vibrant color saturation, brilliant white point and the perfect amount of stretch. We have been working with our textile mill for over three years to get this fabric to where we want it to be. Perfect. Fabricators. Our expert fabricators and engineers design extrusions for custom projects and have perfected the lightbox shapes. Our multidisciplinary team is able to problem solve and come up with economical and practical solutions for any space. We love a challenge, there is no request we cannot handle. Fabric Printing. We have two Reggiani printers which are the best in the marketplace and have a DPI of 1600. Although they are the star of the printing show, it is with the combination of the quality inks we use that produce a truly magnificent output. Ask Reggiani they will tell you. LED Lighting. Our quality LED production allows for consistent high-end lighting. Our larger size lightboxes require fewer lights but produce a greater impact than the standard LED lights out there, which helps keep the cost down. We can also create and test multiple lighting effects, match lighting tones and intensities to ensure the most accurate end result. Buy legit generic Cialis online at http://howmed.net/cialis-generic/ from Cialis no prescription pharmacy. We are a privately held business where our average employee tenure is over four years. Our team has been dedicated to creating stunning imagery and structures for decades and really get excited with every perfectly executed project. Our customer service and sales people are always at your service, there is always someone on the other end of the phone to assist you. 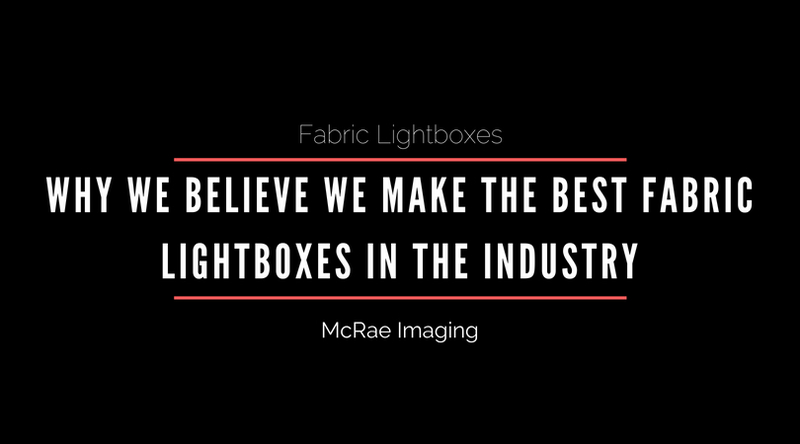 We hope you choose McRae as your fabric lightbox manufacturer, we would love to work with you. If you would like to learn more about our products call 905.569.1605 or email us at sales@mcraeimaging.com.